They say that good things come to those that wait. 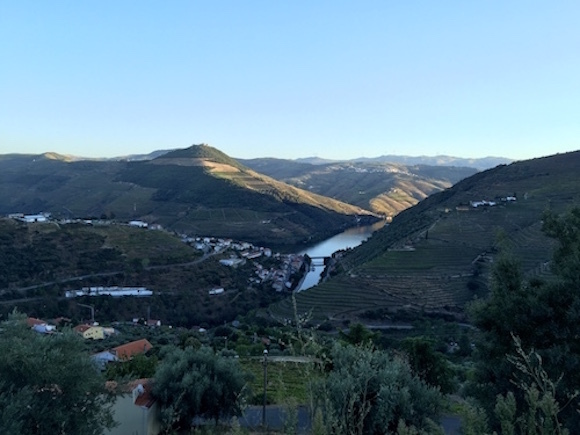 I’m not just talking about the embarrassingly long time it has taken me to write this piece on port (I went out to Portugal courtesy of Quinta do Noval last September). 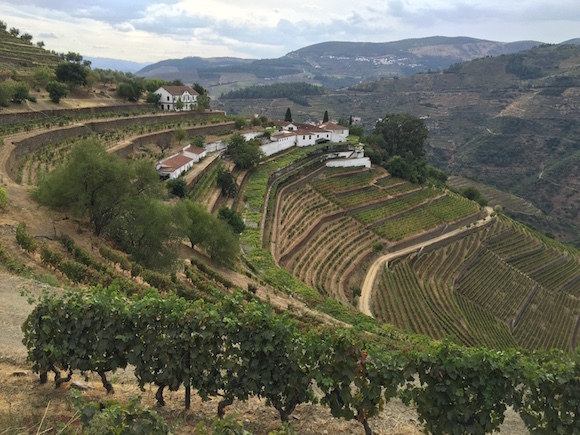 But also that, as a Joanna-come-lately to the wine trade, I finally clapped eyes on the breathtaking slopes and terraces of the Douro Valley. And had my first experience of treading grapes. At wine school I was told it was hard work. 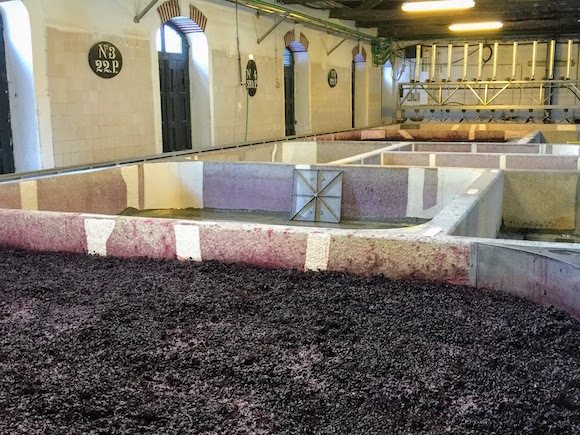 But, by the time I climb into a lagar (a granite vat) of touriga nacional grapes, much of the treading has already done by a regular team (the warmth of the pulp at one end suggests that fermentation has already started) and it’s all pretty easy. The squishing and bursting of the grapes underfoot feels extremely satisfying, if a little addictive. I have quite the pouty bottom lip when we’re told treading needs to stop for fear of extracting to much colour and tannin from the grapes. 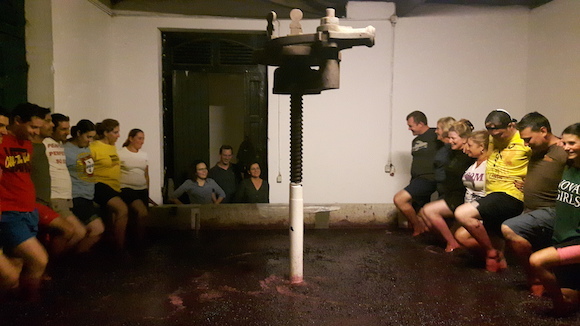 This traditional way of crushing grapes for port has, by and large, been mechanised – especially at the cheaper end of the market. Don’t fool yourself that anyone’s feet have been near your £10 bottle picked up at the supermarket. However, many producers do still carry on the tradition for their ‘dated’ ports like vintage, late bottled vintage (LBV) and the best tawnies. 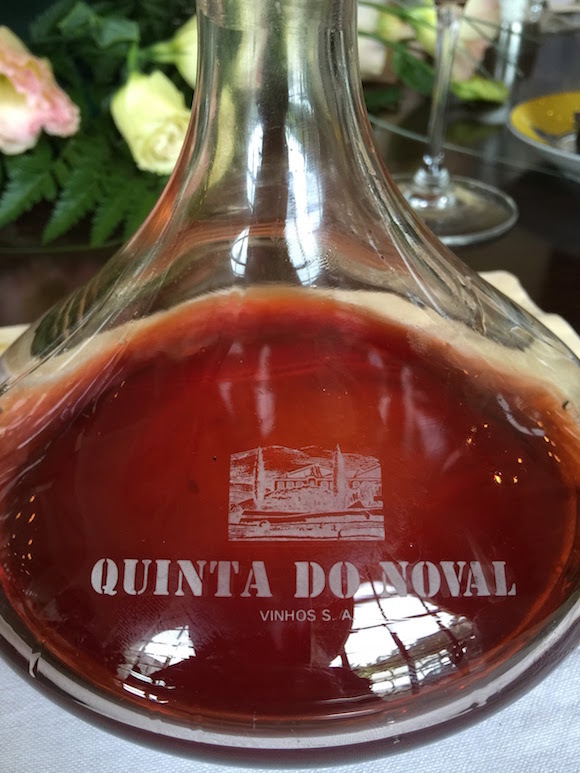 Quinta do Noval is no exception, and only resorts to mechanics for its finer ports – to punch down overnight the mass of grape skins, seeds and stems that rise to the top to that they keep in contact with the liquid beneath. The trodden grapes will spend a few days in their lagar. That morning, we’d seen a vat of grapes that had been stomped three days beforehand, with little bubbles of CO2 forming under the cap. The juice would be separated from its cap the following day and pumped out into a large barrel called a pipa. En route it would pass through a small trough where grape spirit would be added to stop any more fermentation. On average, the port wine stays in its pipa for up to nine months the following year, but it depends on the quantity of the harvest and the amount of wine made. Then all the young wines are moved downhill in tankers to an acclimatised cellar and blending room carved into the hillside, where decisions will be made on their destiny. Inside the cellar lies a hall where barrel upon barrel of tawny port – dating back to 1937 – lies sleeping. Tawnies spend a lot longer in cask than other dated ports, and their slow exposure to oxygen results in figgy, caramel tones. The very best is a colheita (pronounced col-yay-ta) from a single harvest. In other words, the tawny version of a vintage port. It’s a style at which Quinta do Noval excels. Our little group of wine writers spends a few moments contemplating the deliciousness inside those casks. Our prayers are answered when, that day we have the superbly silky Colheita 2000 after lunch – a little slice of heaven. Then, prior to grape treading, the Colheita 1937, which showed such vitality for a 79-year-old wine and had years ahead of it. I’ll be honest though, from all the Quinta do Noval ports we tasted on the trip, it was the Colheita 2000 which stole my heart. It isn’t just good things that come to those who wait. Great things come, too.